New eMail Device From Peek ! A new altered Peek device has gone to sale on Peek’s web stores. Instead of functioning like a phone it will give the performances for receiving and sending unlimited emails via selected services, Gmail, Yahoo mail and AOL are among them. The onboard storage capacity of the device is 8MB. We can configure up to three mail addresses for sending and receiving the mails. 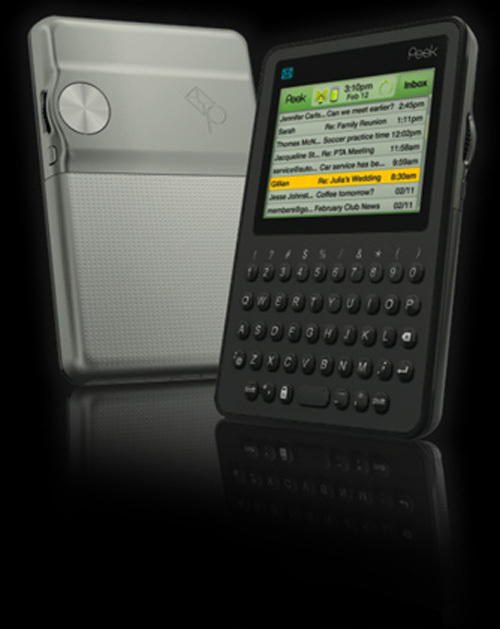 This device features a full QWERTY keyboard, simple and scrolling navigation interface on its 2.5 inch LCD screen. The resolution of the device is 320 x 240 color screen. We can have this in just two colors they are Grey and Cherry available very soon and the aqua color will be had in a few weeks. The monthly rent of the device for the users is $20 and we can’t have this in a contract basis. The original price of the device is $100 and we can have this from September 14 onwards.